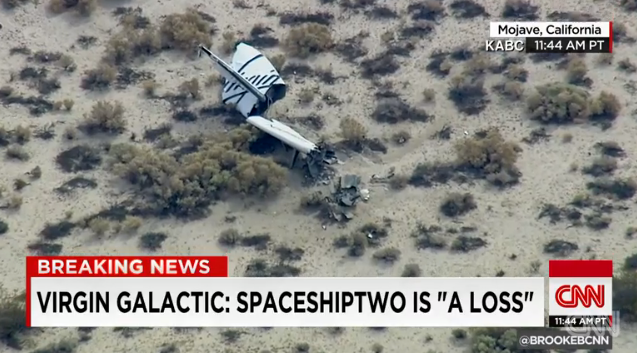 Virgin spacecraft crash: At least one killed. From video of the crash site. A private passenger spacecraft belonging to Richard Branson’s Virgin Galactic company crashed during a test run in southern California today with two pilots aboard; one was reportedly killed. The company has taken payments or deposits from more than 800 prospective customers for its suborbital space flights, but even before today’s events were not expected to begin operating the service until next year.